Mikrophone for invisible installation into the dome light (optional). Even without a touchscreen, you don't need to miss the comfortable features of a FISCON Bluetooth handsfree. 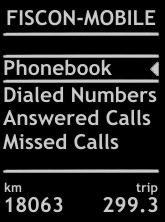 The call lists, the phonebook and incomming calls are shown on the MFA+ screen in the tacho. 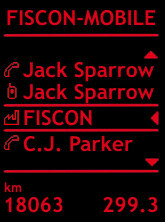 The menus on the MFA+ screen can be controlled with the buttons of the multifunction steering wheel or the wiper lever. The data are showing up at the full size of the MFA+ display. 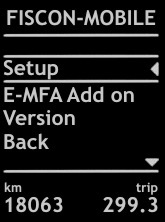 Displays Data on the MFA+-Screen. Automatic usage of the languages English, German, Spanish, French, Italian, Dutch, Turkish, Portuguese, Czech. A lot of other languages are partially supported. Optional microphone available, exactly matching to the OEM position in the dome light of many cars. Enables completely invisible installation. Uses the full size if the MFA+ screen. 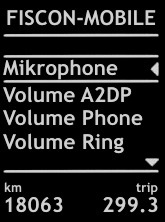 The Jump-Mode at the MFA+-Display allows to scroll through the initial letters (A->B->C) to find phonebook records faster. 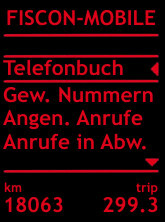 Usage of menu guided message services with DTMF tones. Menu for entering numeric digits on the MFA+ screen. 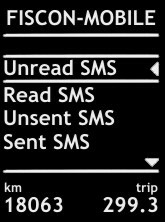 Read SMS and reply with pre-defined texts (when supported by the cellphone). 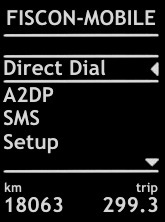 *1 A2DP/AVRCP must be supported by the cellphone. 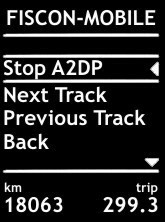 *2 Only if the car provides boost pressure data. 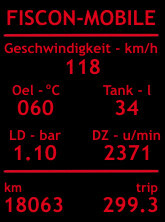 That data are available for all TDI engines. 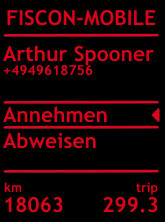 *3 The advanced board computer is available for cars with red MFA+-Display and for Touareg (7L) with color display. 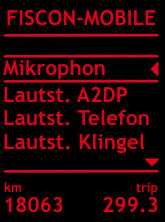 *4 Stereo quality only for radios with Stereo phone input. Real Plug&Play. 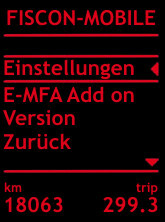 No coding of the vehicle required until modelyear 2009 with red MFA+ screen. 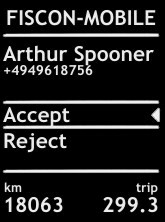 Cars from 2010 require coding. Uncomplicated installation. No cutting of wires necessary. ODB2 diagnostic with e.g. VCDS or VAS possible. 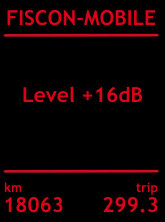 It shows informations like software levels and product version. If required a factory reset can be done. The installation does not cause any records in the error-log of the car. 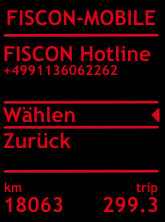 * The operation and display of data on the touchscreen of a Seat radio is possible only with FISCON Plus. 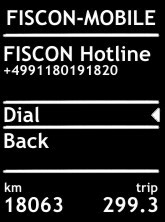 Using a FISCON Basic handsfree in combination with that systems allows for operation and display on the MFA+ screen only, not the touchscreen. 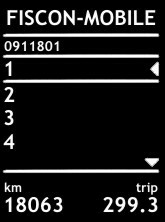 The system requires a fully graphical MFA+-Display with a format like shown on the pictures below. We recommend the optional microphone for invisible installation into the dome light (36338-2). Please choose in our shop which microphone has to be in the package. Only required with radios from other producers. 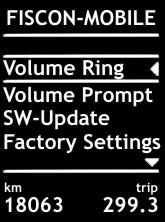 The layout can vary slightly depending on the vehicle model.